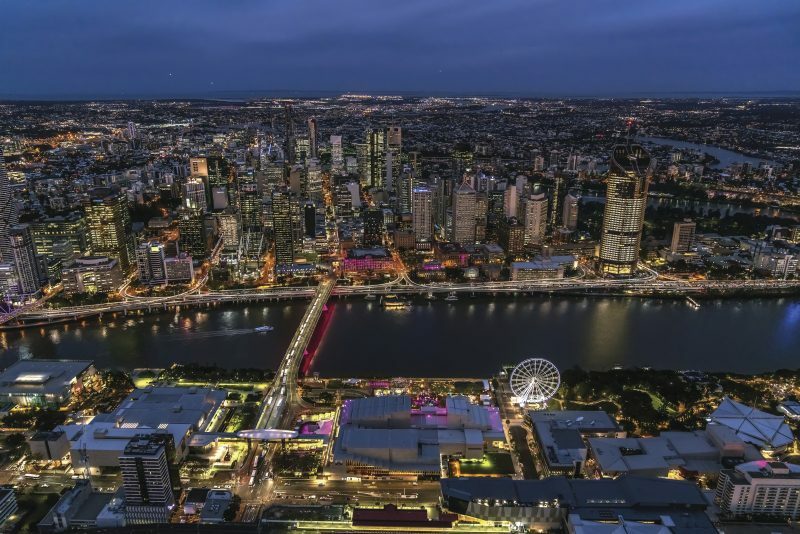 Brisbane is a vibrant city set on the banks of the Brisbane River with significant cultural, artistic, culinary and sporting activities. Flanked by the mountains, bordered by ocean on one side and the great Queensland outback on the other, this diversity offers an incredible variety of experiences, from the cool of the mountains to the beaches and islands on its doorsteps. For shop-a-holics, Brisbane is heaven. From the heritage facades of the Queen Street Mall to the groovy alternative beat around Fortitude Valley (the locals call it “The Valley”) and the trendy avenues of Paddington, Brisbane has a vibe to suit all tastes. If you like the markets, chalk up visits to the hip Valley market, Southbank market and the Powerhouse Farmers’ market. Wander the bookshops and galleries of Park Road, Milton, take a ferry ride on the Brisbane River, visit Roma Street Parklands and explore the Southbank precinct. Brisbane is a culturally diverse city, and with the fantastic climate it’s no surprise that dining al fresco is the go. From smart cafés in Paddington and riverside restaurants at the Southbank precinct, Chinatown in The Valley, Eagle Street Pier, fresh seafood at Manly Harbour and the restaurants at Treasury Casino, there’s something to suit all tastes. From theatre and opera to ballet, rock concerts and superb museums, Brisbane’s art world is constantly abuzz. Every day of the year there is such a diversity of activities on the arts scene. Modern, contemporary, traditional, whatever your interest, you’re sure to be stimulated and excited with the variety on offer. For the sporting fan, Brisbane has it all. The Brisbane Lions are home at the Gabba, which is also home to Sheffield Shield, test matches in December and the four-yearly Ashes battle with England. Hear the crowd roar at Ballymore as the Queensland Reds cross to score or visit the home of the Brisbane Broncos at “The Cauldron”, otherwise known as the Suncorp Stadium. Stradbroke Island is the largest island in Moreton Bay, a favoured getaway for Brisbane residents and visitors, with a diverse wildlife. A short ferry ride takes you onto the island, where beautiful sandy beaches, inland fresh water lakes and the possibility of whale spotting during the winter are the big attractions. June to November is whale-watching season in Moreton Bay. At Redcliffe (the site of Queensland’s first settlement in 1824) you can catch a wale-watching tour on a high-speed catamaran, with floor to ceiling windows affording you the best view. Further afield, the surrounding countryside is just as diverse as Brisbane itself. Tucked in a secluded valley just an hour from Brisbane is an area of immense beauty at the foot of Mt Barney. Near Beaudesert, the Rathdowney area is one perhaps few Brisbane residents know about or are yet to have the chance to explore. Offering everything from bush walking and mountain climbing, to balloon adventures, fishing and farm activities, Rathdowney is an alternative route to access the Southern Downs, taking the mountain road through to the historic town of Killarney. Mt Barney is in fact the western part of an area known as the Scenic Rim and borders New South Wales. Between Brisbane and Warwick lies Cunningham’s Gap, a mountain pass of great beauty with panoramic views of the coast and the various ranges that make up the Scenic Rim. Wherever you travel in Brisbane’s countryside, be sure to have some coins with you; farm gate roadside stalls with all manner of fresh grown goodies usually have an honest box, so you can help yourself to a treat as you drive along.